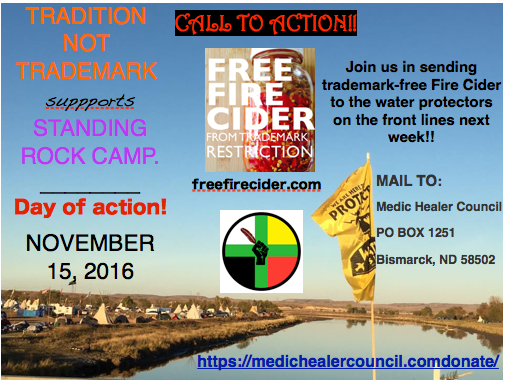 Action Alert! Support Standing Rock Camp with us! the Standing Rock Sioux’s battle against the Dakota Access Pipeline. 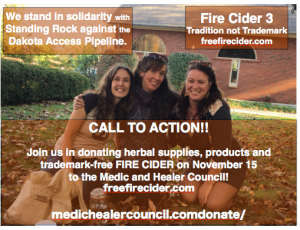 Please join us in sending trademark-free Fire Cider to the Medic and Healer Council at the camp. 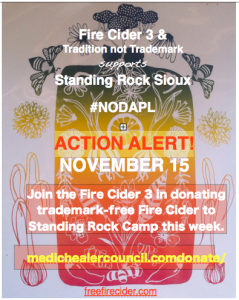 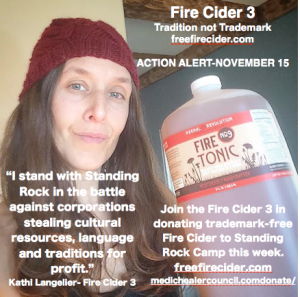 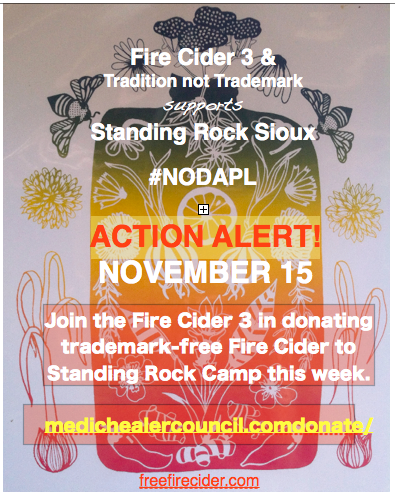 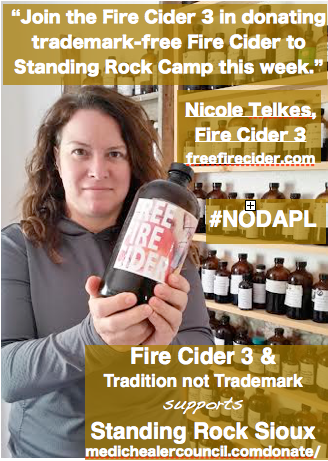 The water protectors on the front lines need trademark- free Fire Cider!!! 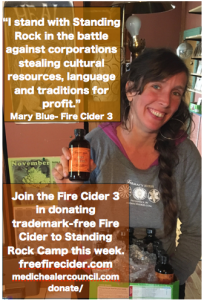 Remember, if it has a pirate on the label, it is trademarked!!! 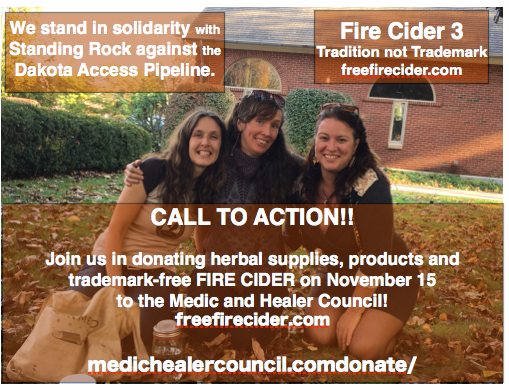 More info on how to donate can be found here.